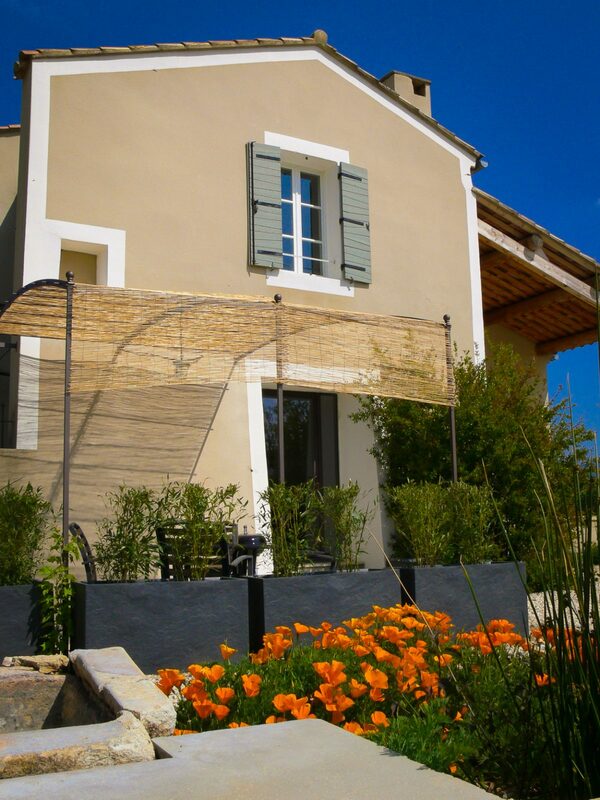 Le Mont Ventoux is located at the southern end of the main house. 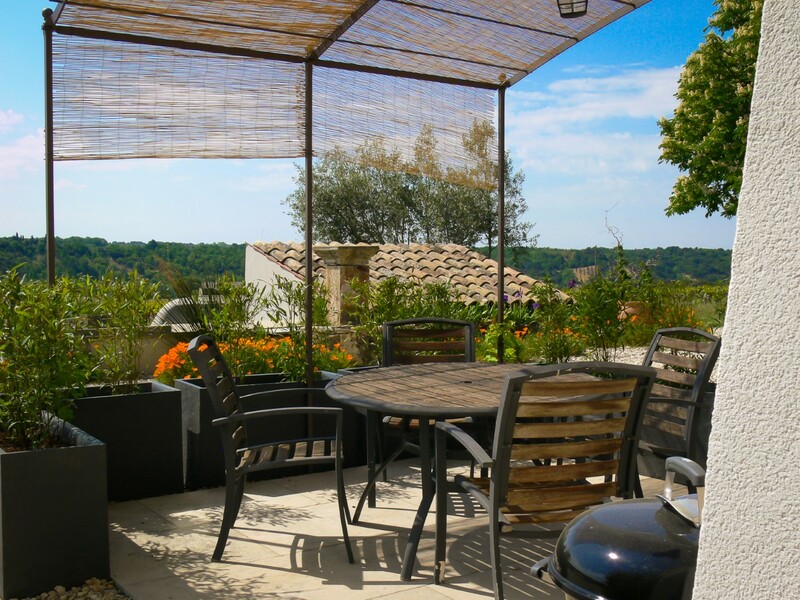 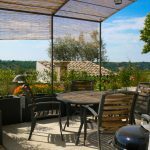 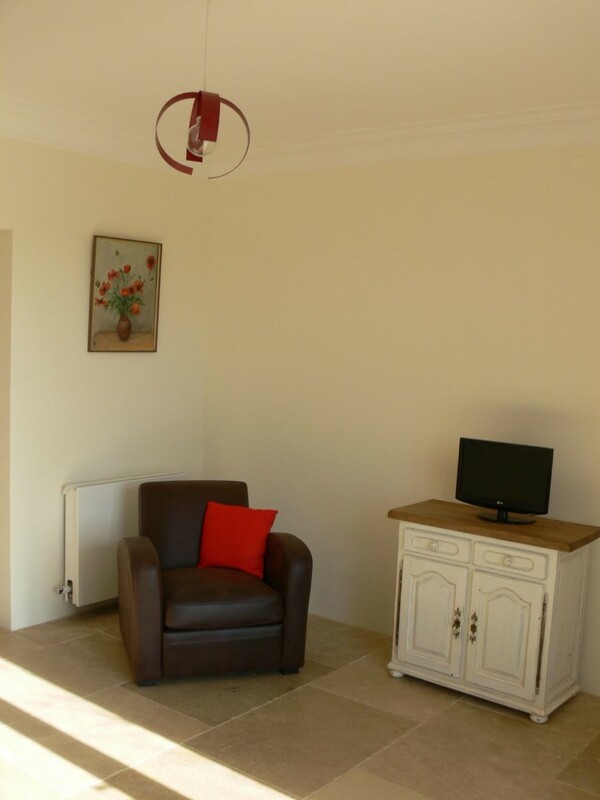 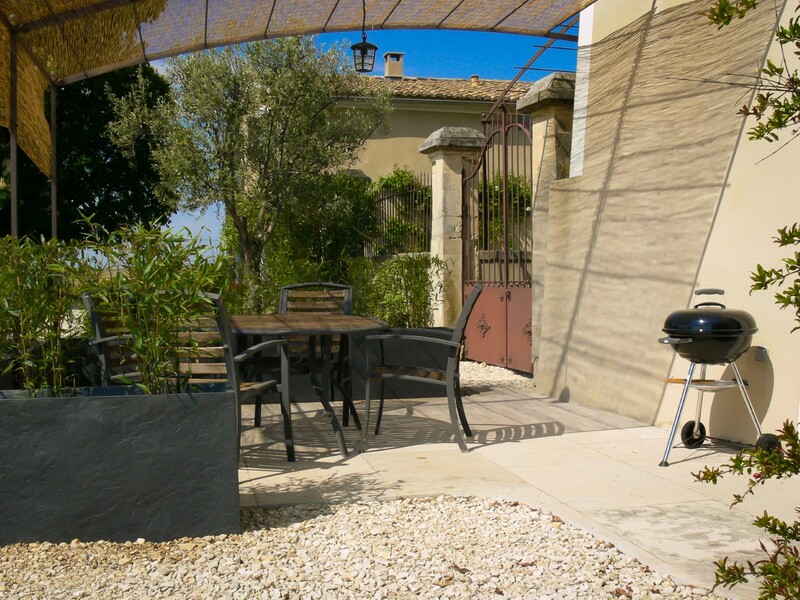 The gîte is perfect for a family with an outdoor terrace opposite the pool giving views of the Mont Ventoux. 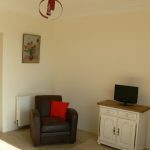 The entrance to the semi-detached house leads into a large sitting area with comfortable leather sofa, armchair and a TV. 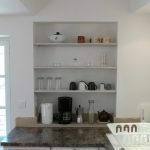 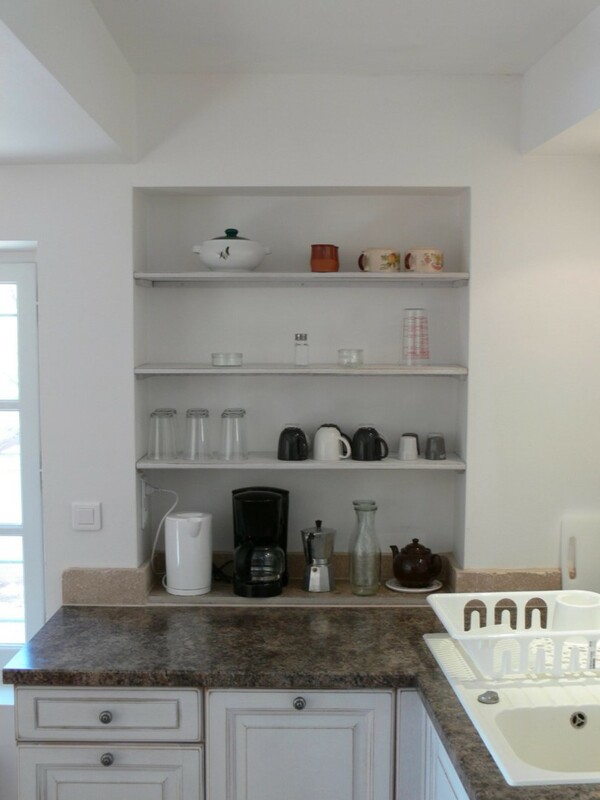 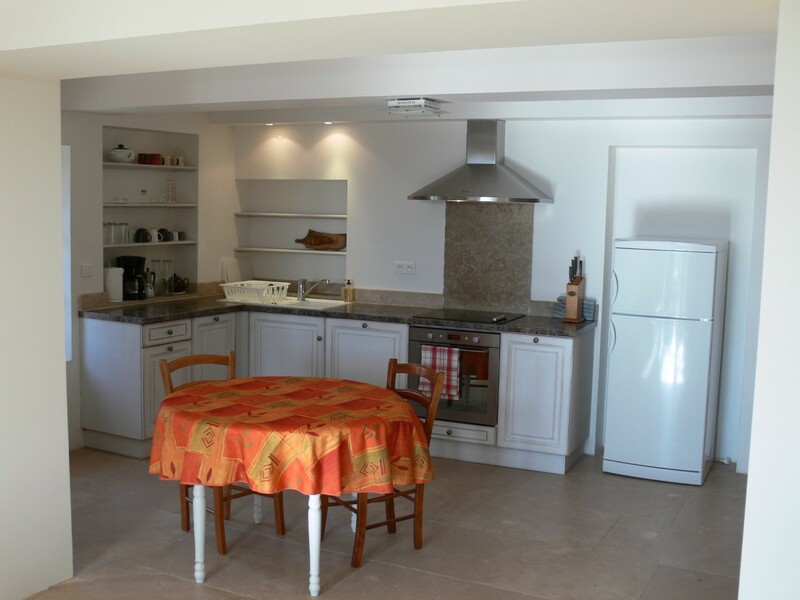 This room is open plan with a spacious dining area and well equipped kitchen. 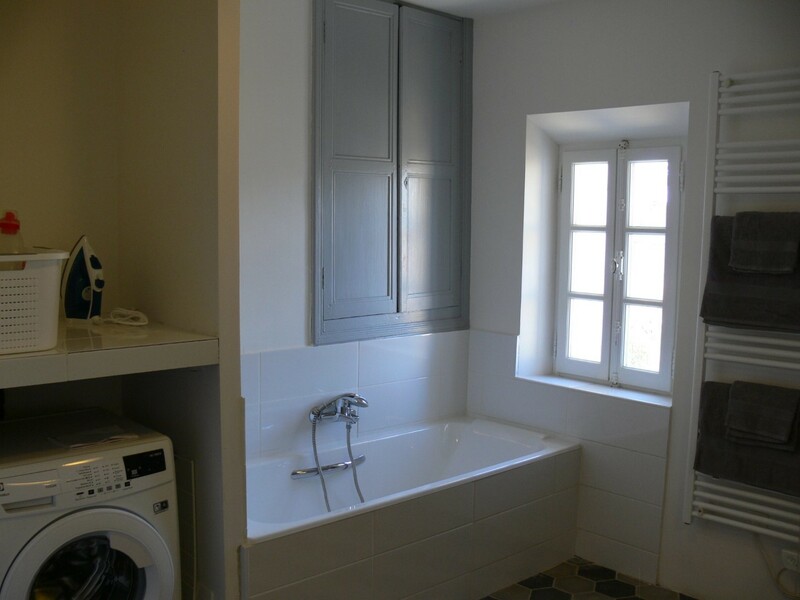 There is also a downstairs toilet. 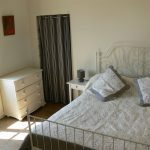 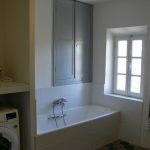 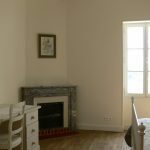 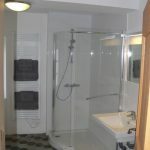 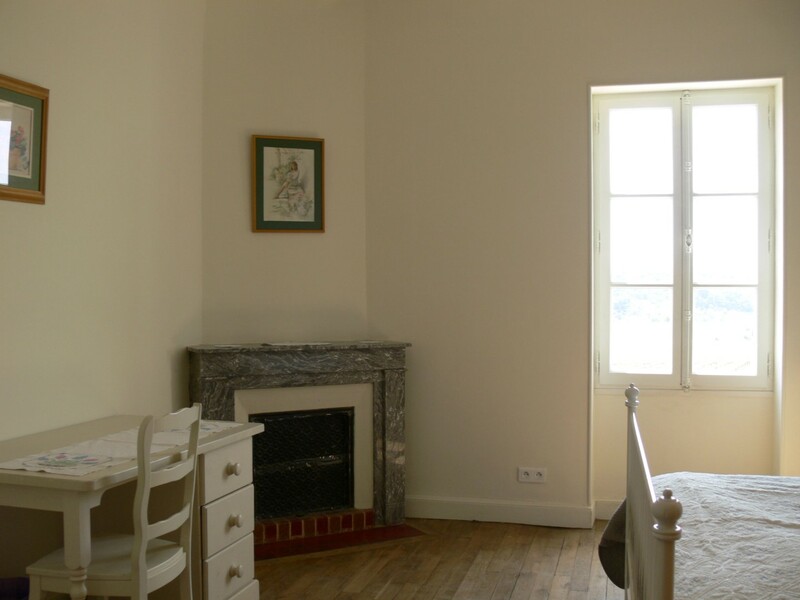 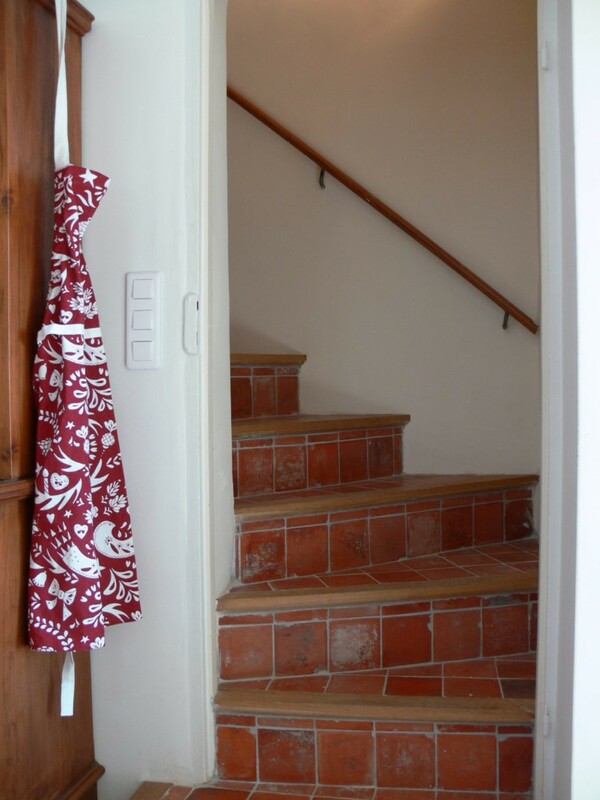 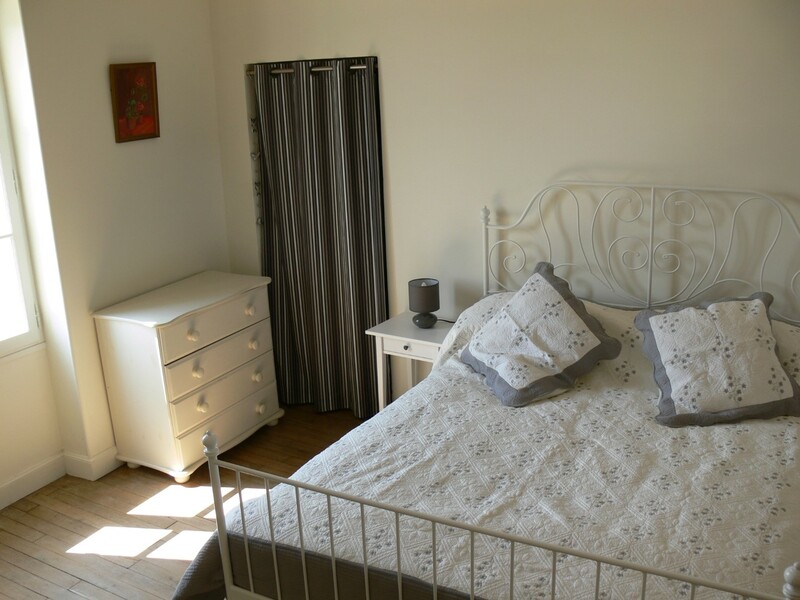 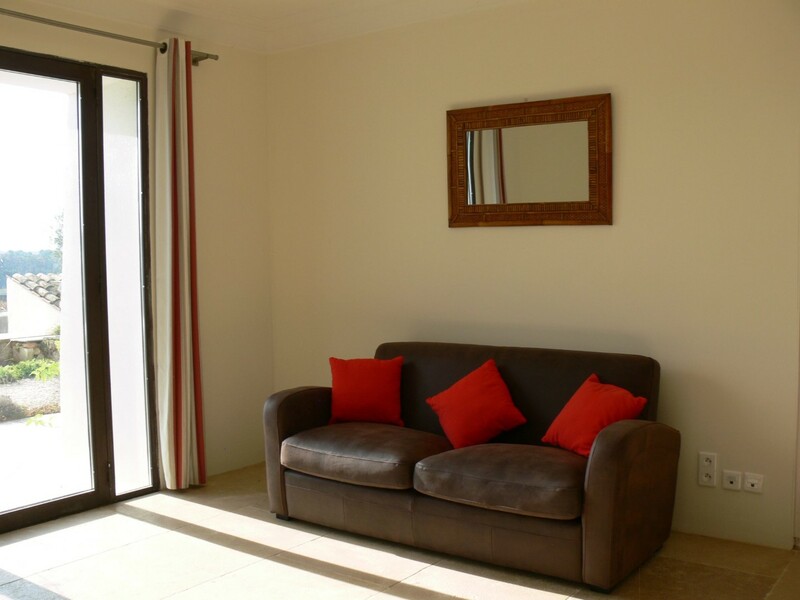 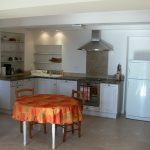 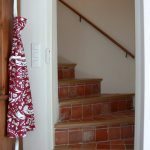 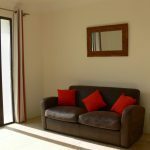 Upstairs is a large double bedroom which looks south over the pool to the Mont Ventoux. 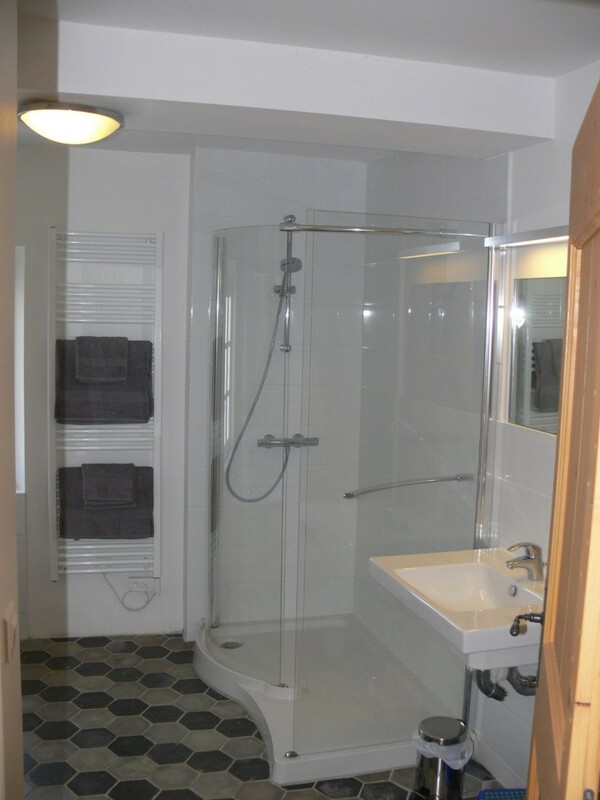 On the same floor is a generous bathroom with bath, separate shower, toilet and also a washing machine. 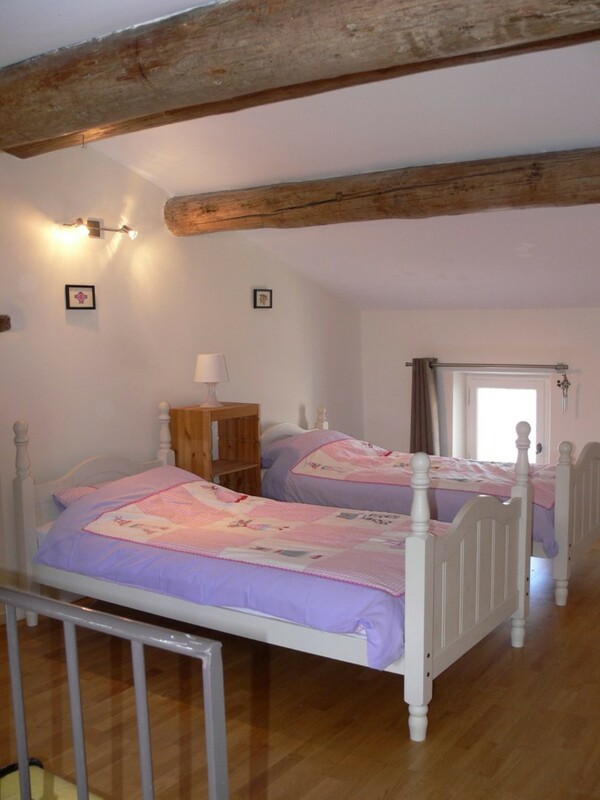 There is a twin attic bedroom for children on the second floor.